Rediscover your skin's youthful capacity with Chantecaille's Bio Lifting Face Mask, a rich, anti-ageing facial mask that helps smoothen the appearance of lines and wrinkles for younger-looking skin. Infused with a host of powerful Botanicals, Plant Extracts and anti-wrinkle Hexapeptide, the hydrating formula with pure Rosewater base expertly protects and moisturises skin whilst softening the look of expression lines; Skin Tightening Agents perform a tautening effect to help smoothen skin's appearance, whilst extracts of German Chamomile and Imperata Cylindrica work in tandem to soothe dry complexions* and help retain moisture. Skin is softer, smoother and younger-looking. 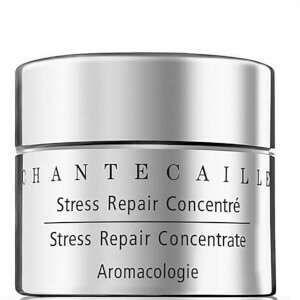 Chantecaille Aromacologie products are free of animal components, phthalates, sulphate detergents, mineral oil, petrolatum, palm oil, synthetic colour, synthetic fragrance and GMOs. No animal testing. No parabens. Rosa Damascena Flower Water, Aqua (Water), Propanediol, Caprylic/Capric Triglyceride, Glycerin, Coco-Caprylate/Caprate, C12-20 Acid Peg-8 Ester, Potassium Cetyl Phosphate, Carbomer, Saccharide Isomerate, Phenoxyethanol, Ci 77891 (Titanium Dioxide), Ethylhexylglycerin, C12-13 Alkyl Lactate, Prunus Armeniaca (Apricot) Kernel Oil, Sodium Hydroxide, Citrus Aurantium Dulcis (Orange) Fruit Extract, Pullulan, Imperata Cylindrica Root Extract, Chondrus Crispus Powder (Carrageenan), Propylene Glycol, Disodium Edta, Triticum Vulgare (Wheat) Protein, Bisabolol, Pentylene Glycol, Tocopheryl Acetate, Butylene Glycol, Algae Extract, Rosa Damascena Flower Oil, Sodium Hyaluronate, Citronellol, Peg-8, Acacia Decurrens Flower Wax, Jasminum Grandiflorum (Jasmine) Flower Wax, Narcissus Poeticus Flower Wax, Pelargonium Graveolens Oil, Citric Acid, Sodium Citrate, Geraniol, Caprylyl Glycol, Centella Asiatica Extract, Tocopherol, Saxifraga Sarmentosa Extract, Sodium Benzoate, Ascorbyl Palmitate, Potassium Sorbate, Linalool, Acetyl Hexapeptide-8, Acrylates/C10-30 Alkyl Acrylate Crosspolymer, Ascorbic Acid. 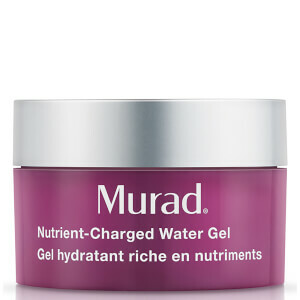 Apply a generous layer twice a week over clean skin. Leave on for 10-15 minutes and rinse. 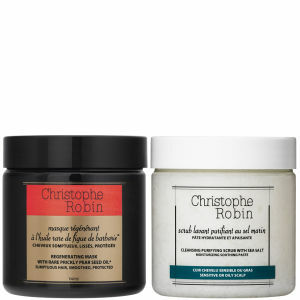 May also be left on overnight for a fabulously smooth morning complexion.